BOSTON—House Minority Leader Bradley H. Jones, Jr., Assistant Minority Leader George N. Peterson, Minority Whip Brad Hill, Assistant Minority Whip Betty Poirier and Representative Vinny deMacedo issued the following statement regarding the supplemental budget. The Republican Leadership Office is ready to allow the supplemental budget to move forward. After several meetings with the House Ways and Means Committee, as well as some conversations with various Executive Branch officials, we feel our concerns and questions have been adequately addressed. We are pleased with some of the compromises the committee has been willing to make in order to make this a more fiscally responsible piece of legislation. Obviously, this bill still faces one major hurdle and it will remain to be seen if we will be able to support the bill pending any changes the Senate may render. In addition to paring back the bill substantially from its original form, we are glad to see nearly $200 million being put back into the rainy day fund, as we had urged back in August. Additionally, we are satisfied that nearly 90% of the money being spent is going directly to Medicaid, an account that was dramatically underfunded in the FY11 budget passed by the Democratic-controlled Legislature and signed by Governor Patrick. This bill further underscores that Governor Patrick’s budget was not balanced, irresponsible and certainly not sustainable. The fact that he and his Administration remain mute on their priorities is further proof of his lack of leadership when it comes to managing the state’s budget. Boston – In issuing the following statement, House Minority Leader Bradley H. Jones, Jr. called the last minute filing of a supplemental budget business as usual on Beacon Hill. Other than closing out the books on the FY10 budget, I cannot in good conscience support rushing through the proposal polled out of the Ways and Means Committee Friday night and filed only moments before today’s informal session. The bill is 80 plus pages and some 134 outside sections. While it appears that the list of items to be funded has been pared back it remains extremely frustrating that such little information is available to the full membership from the Patrick-Murray Administration about the spending priorities for this fiscal year. If the Governor had kept his word and filed a plan there would have been dramatically more information about many of these spending items. The absence of a spending plan by the Administration highlights that this budget was, is and will remain out of balance despite Governor Patrick's happy talk to the contrary. Instead, today we are left with a lengthy document which is still changing, no direction from the Administration and the push to lump everything together into one mega bill. The fact that changes are still being made this morning by Democrat leadership underscores the point that this bill has not only been rushed but that members have not had adequate time to read and analyze its contents. For at least today, the appropriate course of action is to slow down and allow everyone a better opportunity to review the bill and try to understand the fiscal implications as well as the needs of the programs and agencies it seeks to fund. The Governor can and should facilitate this effort by at long last filing a plan and sharing publicly information on where we stand fiscally for FY11. House Minority Leader Brad Jones appeared on the Howie Carr Show last night on WRKO. With November 2nd right around the corner, Representative Jones discussed the legislative races as well as the Governor's race. Click here to listen to what Representative Jones had to say. In case you missed the ridiculous display of partisan politics put on by Governor Patrick yesterday, let The Capitol View fill you in. As you may or may not have heard, yesterday Governor Patrick made a baseless accusation claiming Republicans on Beacon Hill are holding up a supplemental budget. Now, keep in mind and for the sake of clearing the air, no supplemental budget has actually been filed with regard to the FMAP money as of right now and therefore, there is no budget to be considered, let alone blocked. We offer our sincerest apologies to Governor Patrick if he feels lawmakers don’t have the right to read a piece of legislation before casting their vote, but we will not make any commitment to support or oppose a bill that doesn’t even exist. Governor Patrick’s disregard for the legislative process and the members in the House and Senate further speaks to his lack of leadership and his unwillingness to work in a cooperative manner with the Legislature. If passing a supplemental budget is such a priority to the Governor, we suggest he take time to actually file one – until then he has no right to complain. That’s right - Governor Patrick and his administration have yet to file a supplemental budget dealing with the FMAP money recently allocated to Massachusetts. So, while he’s out there saying he’ll have to make tough 9C cuts, be sure to ask him why he hasn’t laid out a plan to use the federal money that was sent to the state nearly 2 months ago! Sounds like a bad case of playing politics at the expense of the well being of Massachusetts residents! Massachusetts has long been criticized for its high taxes, strict regulations and unfriendly business practices, but today the Commonwealth is not even considered a promising state to obtain a job. According to a new study conducted by MSN.com, Massachusetts is not considered one of the 28 states with improving unemployment rates. You know what that means? Governor Patrick and his sidekick Lieutenant Governor Murray are either not telling the truth or don’t know any better as they make their way across the state touting the strong economic recovery in Massachusetts. The study compared the unemployment rate from July 2009 to July 2010 to identify states where the unemployment rate decreased. In the Northeast region; Maine, New Hampshire and New York made the list. Absent on that list is Massachusetts. There are currently 300,000 people out of work in Massachusetts so for the Patrick-Murray Administration to be declaring victory in this economic crisis is not only disingenuous, it’s flat out wrong! Click here to see what states did make the list. Congratulations and Good Luck in November! As many of The Capitol View readers know, the House Republican Caucus is losing three of its members this year as they have moved on to run for higher offices. 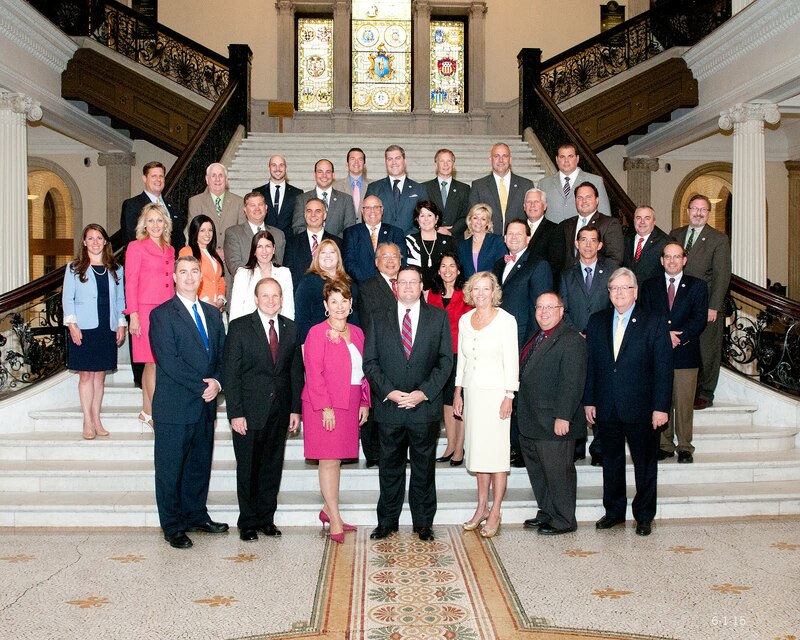 Those members include Representatives Lew Evangelidis, Jeff Perry and Karyn Polito. Representative Evangelidis is running for Worcester County Sheriff and Representative Polito is running for Treasurer. Neither faced primary opponents yesterday but Representative Perry who is running for Congress in the 10th Congressional District won overwhelmingly during yesterday’s primary. All of us here at The Capitol View congratulate Representative Perry for yesterday’s victory and would also like to wish all three of them the best of luck on November 2nd. They will be missed in the House Caucus but we wish them all the best in their new endeavors! Remember to get out and vote on Election Day – it is right around the corner! Representative Brad Hill: Is Democracy Still Alive in Massachusetts? Is democracy still alive in Massachusetts? If it is alive today, it is on life support. Citizens of the Commonwealth elect legislators to make difficult and educated choices. A legislator’s job is to represent their community to the best of their judgment, not dodge the issues of the day. I am sorry to report to my constituents that during this legislative session there were numerous times in which I was not given the opportunity to perform the simple task you sent me to Beacon Hill to perform, vote. Instead of taking up hard hitting issues that would make a difference in many communities across the Commonwealth, countless votes were buried by being voted to be “put to a study”. This became very frustrating, as putting a bill to a study essentially means that the issue is being tabled until next legislative session, IF the issue is brought to the floor again. Important issues that countless constituents called my office on, whether they were in support or against the objective of the legislation were sent to a study because fellow politicians were afraid to make difficult choices and be held accountable by their constituents. By my count a total of nine hard hitting issues were sent to a study. This included an amendment to the budget, which would have required the State to check on an individual’s legal status before issuing any sort of public benefits. This particular issue had previously been sent to a study as well. How long are we going to study an issue? Following the vote to amend the budget in regards to the issue of immigration, I was forced over and over to explain to the public that I had not voted against the amendment. My “No” vote had been against sending the first amendment to a study. Essentially on the final vote a “Yes” vote meant to send the amendment to a study and a “No” vote meant that the Representative wanted to bring the amendment to the floor for a vote. In the end, the amendment to the budget was sent to a study and once again politicians were able to hide from the issue that was brought to the Legislature’s attention to repair. Beyond the issue of immigration, the Legislature also chose to study managed care plans for MassHealth. This reform would relocate all Medicaid and MassHealth fee-for-service programs, including primary care clinician plans to a managed care form of Medicaid. In essence, the bill would have allowed for those under Medicaid to stay healthy by being under the constant care of a doctor instead of looking for ways to cure themselves once they have become ill; a much costlier way of dealing with healthcare. But once again, our Legislature chose to ignore the true meaning of democracy and neglected to vote on the issue. Furthermore, an eradication of the added sales tax and alcohol tax were sent to be studied along with a bill that would have had our Legislature vote on the death penalty. Two major roll call votes that took place during the budget debate, that would have helped bring more local aid to many of our struggling municipalities, were also further amended and voted to a study, instead of simply having the matter voted upon. The first of these amendments would have restored local aid to the amount that the Governor allocated for in his budget, a discrepancy of 234 Million dollars. The second would have obligated 50% of any surplus revenue to be administered for the purpose of local aid. It is imperative that we have open discussions when dealing with issues that are as important as funding our cities and towns instead of avoiding the issue at hand. It would be one thing if being “put to a study” actually meant some studying was going on. I understand the original intention of studying an issue because we needed more time to comprehend the effects of the legislation on the citizens, not the repercussion for politicians. And if that’s the case, hold us to a deadline. But here’s the dirty not-so-well-kept secret, the political process has been manipulated where issues are put to a study but there is no intention of ever taking the test. Agree or disagree with me on issues, but hold me and my colleagues accountable by making us take a stand. Thank you for giving me the opportunity to let the public know that putting an issue to study is an often abused tactic by professional politicians to take themselves off the hook. And when transparency and accountability are subtracted from the political process, then democracy has been diminished just a little bit more. Today is primary day in Massachusetts and there are several contested races across the state. From all of us here at The Capitol View, we hope you'll get out and make your voice be heard by voting for the candidates of your choice. Polls are open until 8 pm, so there's no excuse for not voting! BOSTON—House Minority Leader Bradley H. Jones, Jr. issued the following statement on the anniversary of the September 11th terrorist attacks. 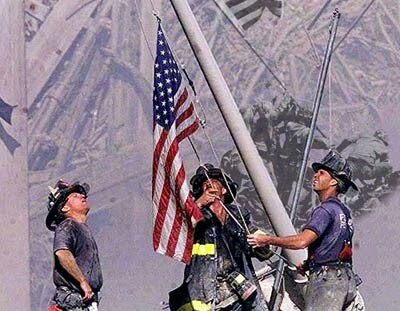 Nine years ago today, the values and principles of America were attacked and thousands of lives were senselessly taken. 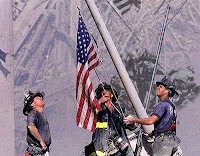 We must never forget that day and always honor those innocent lives taken from us. The families of the victims, the first responders, and the service men and women who have fought since that day and continue to fight in order to protect us must always remain in our thoughts and prayers. Deval’s Delusional if he Thinks These Numbers are Good! Not everything is puppies and rainbows as Deval Patrick and Tim Murray would like you to believe. Don’t believe us? Well, just take a look at State House News Service’s latest report on layoffs in the Commonwealth of Massachusetts. The Patrick-Murray Administration would like you to believe that Massachusetts’ economy is heading in the right direction, but statistics like this don’t seem to back up that assertion. Looks like Deval is playing fast and loose with the numbers once again! Governor Patrick’s behavior in the waning days of the legislative session showed he is incapable and unwilling to work with those who may have a different opinion towards a common goal. Because of his unwillingness to compromise and inability to broker a deal with the Speaker and Senate President, hundreds of track workers are now unemployed. Here’s a situation where he had the opportunity to make a difference and do the right thing, instead he took his ball and went home. It’s no wonder the majority of those polled blame Governor Patrick. Representative Vinny deMacedo appeared on Broadside with Jim Braude last night on New England Cable News. The Plymouth Republican discussed last night's gubernatorial debate, mid-term elections and the nation's climbing debt. The Patrick-Murray Administration is making its way across the state, cherry picking statistics to make it look like it actually has a record to stand on. What this administration fails to tell you is along with the thousands of Massachusetts residents who are unemployed, facing foreclosure or struggling to put food on the table – the business community is also suffering as well. Families and small businesses are having a tough time staying afloat in Massachusetts let alone having the opportunity to thrive and prosper. Things need to change significantly in this state in order to get the economy moving in the right direction. 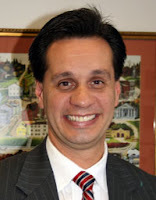 Representative Vinny deMacedo is slated to appear on Broadside with Jim Braude tonight on New England Cable News. The Plymouth Republican will be discussing tonight's gubernatorial debate and the mid-term elections. Be sure to tune in tonight at 6pm on NECN.